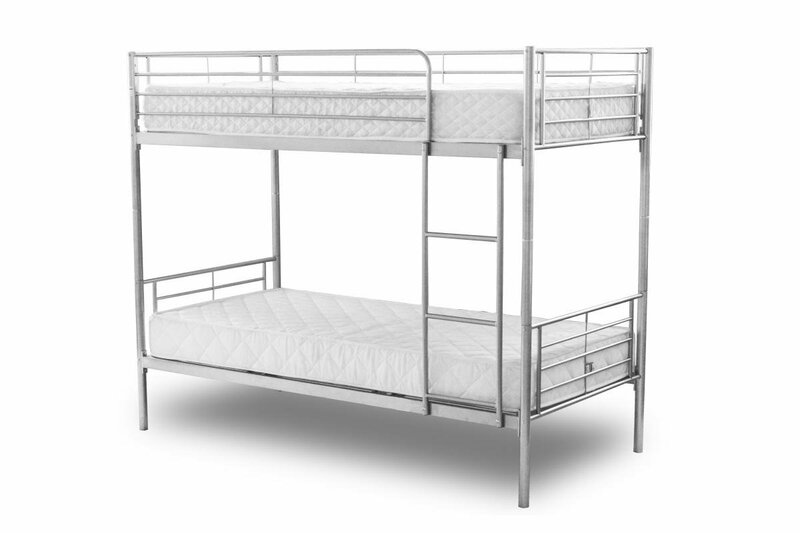 Bunk beds are a fantastic choice for a child�s bedroom, and this clean, classic silver frame design is perfect for any home. What happens though, when the children grow up and want their own space? Just get rid of the Bunk Beds? Not with the Chicago Bunk Bed; Bunk Bed splits off into two separate, single beds. Practical as well as stylish and classically designed.